Resume confidence comes from having a resume that represents YOU! The job search sometimes seems like one, huge trust fall. You do your research, write up your achievements, compile everything into an application, and hope that your resume and cover letter does you justice when you’re not in the room. Now, some professionals feel very secure in their resume-writing skills and know that their resume is highlighting their best selves after picking and choosing the most relevant experiences and skills to include. Other professionals, like Genny Knight, didn’t have that level of confidence. For Genny, her resume mirrored that of an entry-level professional, with just more experience tacked on. This led her to believe that her resume wasn’t accurately showcasing her talents and value to prospective employers. “I felt like my resume didn’t really represent my abilities and what I could offer to the people reviewing my resume,” Genny confessed. Genny Knight started her career with a passion for TV and media, breaking into the industry and working on the production side of things. A few years later, she realized that working 12 hours a day and having an unpredictable shooting schedule was not the lifestyle she wanted anymore. She then moved over into the programming side of the industry, taking a step back to learn the trade before ending up where she is now. 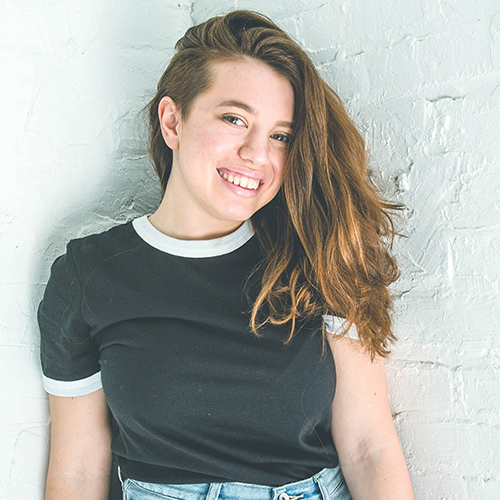 “My passion is knowing where people are watching and reacting to media and finding solutions to help people get all the content that they want the way they want it,” Genny added. Unfortunately, the way her experience was positioned on her resume painted her as an entry-level candidate — not a professional with over a decade of experience in the industry. Genny agreed, stating that “with the experience I’ve had, I had a taste of many different things. But my title hasn’t matured in the way that I wanted it to.” When it comes to landing the job, her resume wasn’t showcasing the depth of her experience — and TopResume was her first choice in fixing this problem. For Genny, shifting her resume from looking and feeling like an entry-level professional was key to upgrading her resume and building her job-search confidence. Genny’s resume writer, Traci, noted that her resume was already off to a great start; it just needed to be more mature. 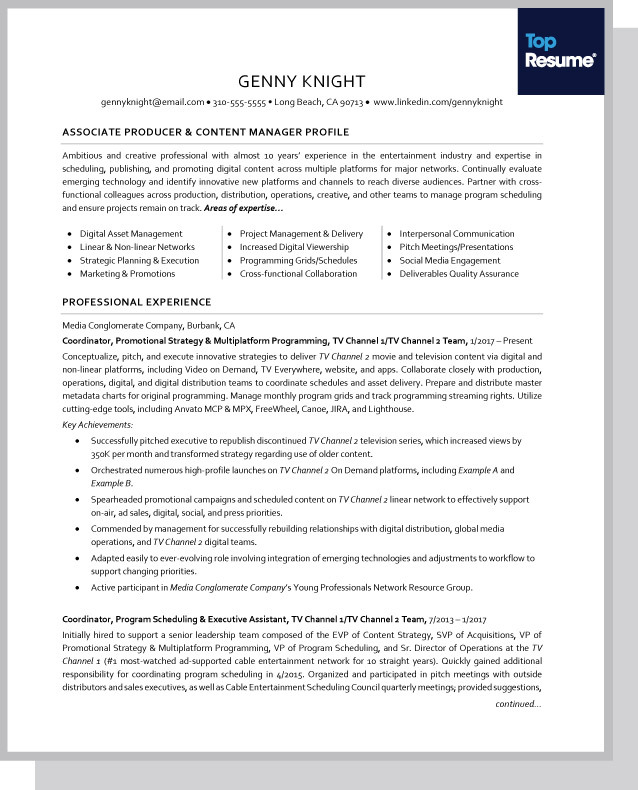 Traci focused on modernizing the look and feel of Genny’s resume, adding a professional summary to set the tone for the reader, and repositioning her as an "achiever" rather than an entry-level "doer." Be your own success story. Enter our resume-makeover contest today! “I created a robust professional summary with a clear title to position Genny in her job search and capture the hiring manager’s attention during the initial six-second review,” Traci explains. 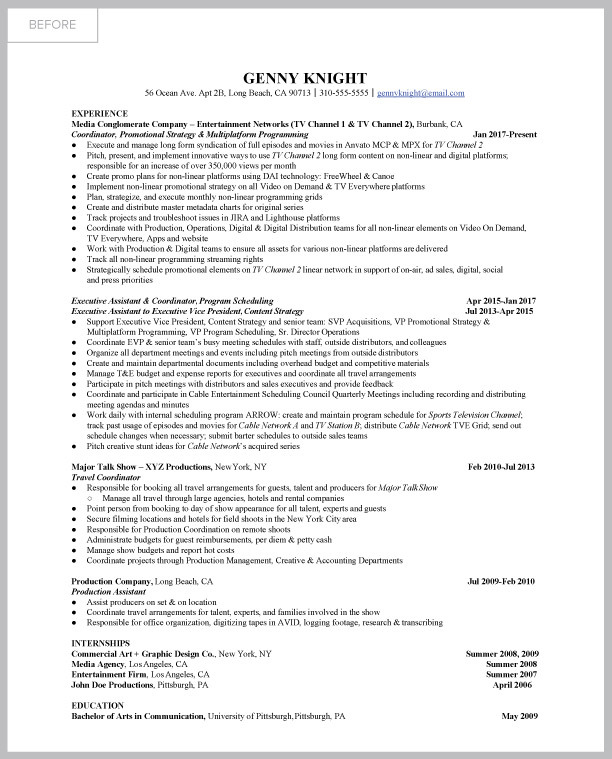 She also added an “areas of expertise” table to highlight Genny’s key selling points and showcase her diverse experience and pushed Genny’s resume from one-to-two pages, which not only makes it more visually appealing, but also distinguishes her from entry-level professionals who still utilize their one-pager. Now, Genny feels much more secure about her job search, resume, and overall chances for success — especially after she hits the submit button on her application. She also felt like this investment was definitely worth her while, and has even updated our team that she has landed a few interviews in the time she’s sent her new-and-improved resume out into the job-search world. Are you resume confident or resume insecure? 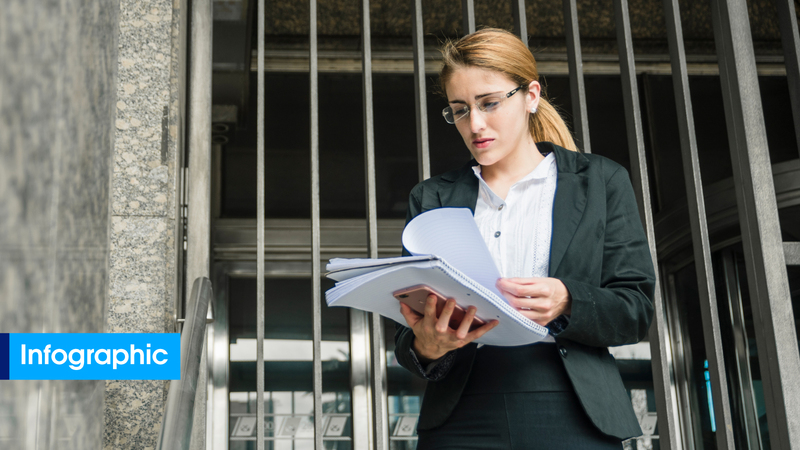 If you’re leaning towards insecure, it’s time to ask for professional resume-writing help.